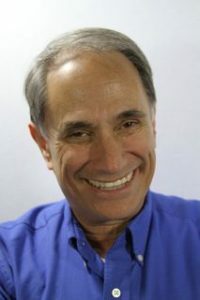 Jack de Golia,“the Voice of Character,” is a veteran stage actor and public relations professional. A native of San Francisco, Jack has been a voice actor since 2009, but active as a character actor on stage for over 40 years. His voiceover experience includes video games, elearning, audiobooks, and commercials. He’s also an instructor at the Voice Actor’s Studio, in Henderson, Nevada. Jack holds a BA in Dramatic Art, from the University of California, Davis. He worked for over 35 years as a park ranger and public information officer for federal land management agencies in national parks, national forests, and other public lands in the West, as well as during wildfire emergencies nationwide. He lives in Henderson with his wife Brenda. Jack has two grown sons and two grandchildren. The UNconference: FaffCon8…with only two more to ever happen. For most of my years in voiceover I’d heard about a very special voiceover gathering…FaffCon. Right. How many conference claim that?! Still, I remained intrigued. So, when the time was right—which this year was the EXACT moment that registration began online, I gave it a try. To be ready, I logged in, watched the countdown clock and at the appointed moment I hit “CLICK!” and my application procedure began. What I didn’t know at the time was that within a minute or two, all 120 slots for FaffCon8 were filled! Vetting goes on after you click “submit.” Newbies need not apply. Only working pros who can show jobs, a website, and other features of professional work can attend. This year’s location: Bloomington, Minnesota, near the Minneapolis-St. Paul airport. Led by Amy Snively, a small crew of dedicated “Faffers” since 2010 have put together nearly annual events giving voice actors time for interactions, learning, discovery and changed professional lives. So what’s so different? There’s no agenda to start with, no list of learned speakers and talking heads. And there’s an attitude—of respect, support, and openness—that means an atmosphere of trust and learning. 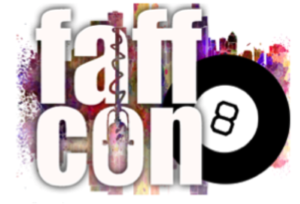 FaffCon was born after a major conference when some participants decided it was time for a conference with the agenda set by participants. The best parts of most conferences often take place in between sessions, out in the hall, in the bar, or over dinner, after all. So why not make that the goal? Peer learning. Crowd directed sessions. Amy says she’s done as of FaffCon10. I can see why. It’s a huge undertaking. It’s no small feat finding a place (a city with easy access, a hotel that can accommodate a relatively small group sitting in large, space-consuming circles), and keeping the price affordable, as well as doing just enough to encourage conversations. FaffCon formally begins with a circle on Friday afternoon—we were always seated in circles because eye contact makes for better talking. We heard from Amy, a standup comedian in her past life, about what Faffy (an inflatable porpoise) expected. We then broke into groups of 10. These small groups met in breakout rooms, also in chairs arranged in circles, appointed a leader from among us and went over the rules for proposing and asking for presentations. Soon 5x8 colored index cards came out: green for business issues, yellow for tech, purple for performance. If you have an idea for a presentation, fill out a card and write on it with a fat marker. Got a question or request for a session? Write it on a card. We then reassembled with the other groups and cards got posted on the walls. Armed with a small strip of sticky dots, we all milled around the big main meeting room, checking out the cards, and attaching dots to vote for sessions. There’s one hard and fast rule: each of us could do only one session. Put up more than one session proposal card and all of them would be taken down. Amy explained later that this policy opened things up, let more people bring topics to the group. And it’s all about more people having more say. After the “dotocracy,” we all went to a mixer with the sponsors—individual voice actors, casting companies. Of course, in the din of people talking, what’s a bunch of voice actors to do? Strain their voices! But such is the nature of our gatherings it seems. Following the mixer, we were off in buses on a field trip, treasure hunt, and dinner at the gigantic 4.2 million square-foot Mall of America. Meantime, back at the hotel, the intrepid Faff staff then sorted through the cards, matching sessions that needed a projector with that equipment, and figuring out which session would happen when and where. By Saturday morning, the schedule appeared on a wall in the main room, in the form of a grid with times, rooms, and cards marked out with masking tape. Cue the cell phone photos, the note taking, the pondering. Which ones should I go to? My first choice was easy—I was a presenter, running through tips for working with TwistedWave, a recording app for Mac. But then I had to pick the rest of my session schedule. Of course I couldn’t be everywhere at once, but Amy made it really clear: “Be where you need to be!” We had permission to stay a while then drift out to other sessions in the same time slot if we had to. The actual sessions focused attention for an intense 50 minutes, and then it’s expected that conversation might go on, that notes get shared, though we were asked to keep confidences shared within the group where they were aired. And so it went through Saturday, into Sunday. In the circles starting and ending each day, besides hearing from Amy about logistics and inspiration, we raised $8,000 for a local charity. Edge Studio was the main of many sponsors and David Goldberg of Edge, conducted an evening session on Saturday to sharpen auditioning skills. Along the way, conversations and sessions covered professional compensation, issues for bilingual voice actors, reinvigorating careers buffeted by life’s changes and turns, debunking myths of voiceover, learning improv, narrating “spicy” audiobooks (romance and erotica), learning the art of doing car commercials, learning character voicing, finding elearning work, and more. Sunday concluded with small group, game-based discussions to review how we felt about it all, and to cement commitments and ideas we’d discovered. For example, I’m going to bite the bullet and do audiobooks differently. The editing and proofing just eats my time and isn’t all that fun anymore. So come hell or high water, I’m outsourcing that stuff and charging what I’m worth. I think most everybody came away from FaffCon with some new plans, some new ideas, some old boxes they broke out of, and will act on. And, course, it’s time to starting thinking about FaffCon9. If you haven’t been, you’ve got two more chances. “The “Con” is, of course, short for ‘Conference’. The “Faff” comes from the British slang term, as in “faffing about” – which basically means goofing off. It started as a joke among some voiceover artists when they were discussing what would eventually become FaffCon, and someone said we should stop faffing about and get it started already! It’s also a playful moniker stuck and we think it’s a nice reminder of the goals of less rigid structure and a more responsive program.